We are excited to share that this week, Fon Japan will be a key exhibitor at the prestigious Inbound Japan 2016 trade show in Tokyo. The goal of the event is to improve technology and services in Japan’s growing tourism and hospitality industry. In 2015, Japan saw a record high in number of foreign visitors with over 19 million tourists travelling to the country – rising nearly 50% from the year before. As the demand continues to skyrocket, the country is looking for ways to better accommodate this growing number. At the top of their list? Expanding WiFi infrastructure. Fon Japan has been working closely with Japanese telco giant SoftBank since 2006. With over a million hotspots across the country, Softbank-Fon have created the largest WiFi network by far in the nation. Looking to the future, Fon will also play an important role in helping the country prepare for the 2020 Olympic Games in Tokyo by providing WiFi technology and infrastructure. This will be vital in supporting the expected influx of travellers and their WiFi demands during the Games. 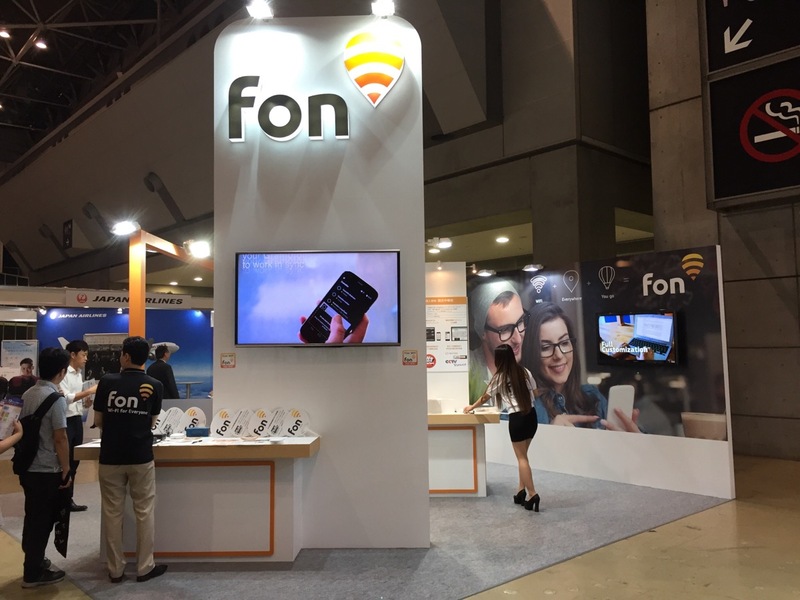 Fon’s involvement with Japanese WiFi doesn’t end there: it has partnered with multiple businesses to bring WiFi to customers and venues alike. These include Yokohama, the largest Chinatown in Japan, hosting 21 million visitors a year, and Hokkaido Regional Development Bureau (HRDB), home to a multitude of touristic sites as well as transport stations. Fon is very excited to participate in this event. It brings together many things that we love: WiFi, travel, and innovation. If you are in the area, come stop by to see how Fon plans to expand upon our global WiFi network and further support international tourism. Our booth will display Fon technology, explore the services that we offer, and feature various case studies highlighting Japanese enterprises, local communities, and key sightseeing spots. Make sure to follow us on Twitter, Facebook, or LinkedIn for more updates from the event!